The new LEGO Star Wars Visual Dictionary: New Edition has now been released and for those who pre-ordered it might have already received their copy. It is currently on sale for $14.71 which is a savings of 33% off the list price and it includes an exclusive Finn in Bacta Suit minifigure from The Last Jedi. 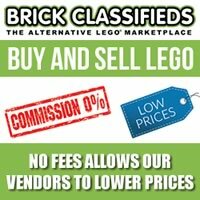 The promotion for the LEGO Seasonal Chicken Skater Pod (853958) is now live on [email protected]. From now until April 22, you can get it for free with purchases of $35 or more, while supplies last. 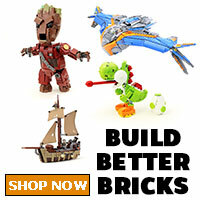 Please use our links to make your purchases as it does help support the site. Back in February, LEGO revealed the new lineup for the LEGO Toy Story 4 sets which should be coming out some time this month. It looks like LEGO has kept two additional sets under wraps as our friend Just2Good has found them at his local Target store. The two sets are called Duke Caboom’s Stunt Show (10767) and Buzz & Bo Peep’s Playground Adventure (10768) and they have 120 pieces and 139 pieces, respectively. The Duke Caboom set retails for $19.99 and the Bo Peep one retails for $24.99. He’s already done a review on both sets if you want to check them out. Thanks to J2G for sending over the box images as well! For this past week, I’ve been reporting on some deals that are found over at Target for the new LEGO Marvel Super Heroes Avengers: Endgame sets. It looks like there another one that is randomly on sale with the Avengers Ultimate Quinjet (76126) which is currently going for $63.99 which is also 20% the regular retail price. If you have a Target REDcard, you can save an additional 5% plus you get free shipping on it as well. 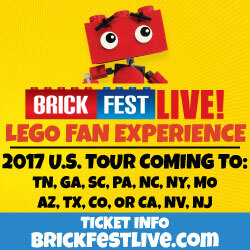 Remember that LEGO [email protected] also has a promotion on this set with them having Double VIP Points all month long on it. You will get 179 VIP points with the purchase but it depends on if you’re looking to rack up the points or earn save a little bit more over at Target. If you’re wanting to get your hands on the LEGO Star Wars Celebration 2019 Darth Vader Bust (75227) that is coming out next week as a Target REDcard exclusive, you be happy to know that LEGO has released the building instructions early for the set. 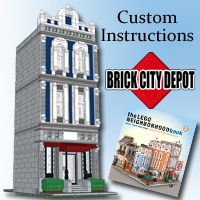 The set has 327 pieces and will retail for $39.99 at the convention and at Target with limited availability. I’m not sure if it will be available in stores as the recent Target exclusives have only been available online but I’ll let you guys know. 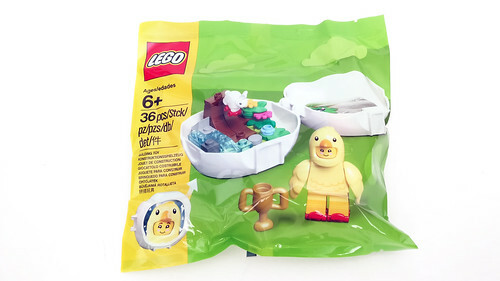 The promotion for the LEGO Seasonal Chicken Skater Pod (853958) starts in a few days and LEGO has sent over the polybag for us to take a quick look at. Inside the polybag, there’s only pod itself and the instructions.